In this study, the effect of NaCl, KCl, CaCl2, MgCl2, MgSO4, and CaCl2 salts in brine in the range of low (1000−5000 ppm) and intermediate (5000−40 000 ppm) salinity water on the amount and offset pressure of asphaltene precipitation was investigated. The measurements were performed at reservoir temperature (350.15 K) and high pressures (0−100 bar). The IFT (Interfacial Tension) values increased with pressure and a sudden increase was observed at a specific pressure namely, an offset pressure of asphaltene precipitation in APE (Asphaltene Precipitation Envelope). For all brines, the amount of IFT with increasing concentration was in descending order and after a minimum value it changed to uptrend. Likewise, similar results were obtained for the precipitated asphaltene amount. All the brines intensified the asphaltene precipitation. Monovalent cations like Na+ and K+ showed higher values of IFT and hence more asphaltene precipitation, however, MgCl2 showed the least IFT, offset pressure and the amount of asphaltene precipitation. 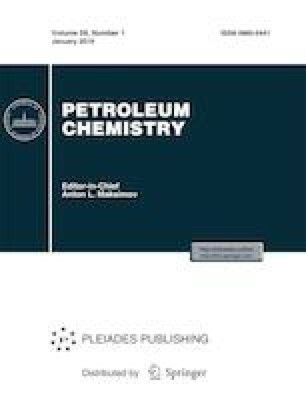 The authors are grateful to the Shiraz University and Enhanced Gas Condensate Recovery Research Group for supporting this research.